The National Merit® Scholarship Program has recognized 21 University School seniors as Semifinalists and Commended students in the 2019 competition. 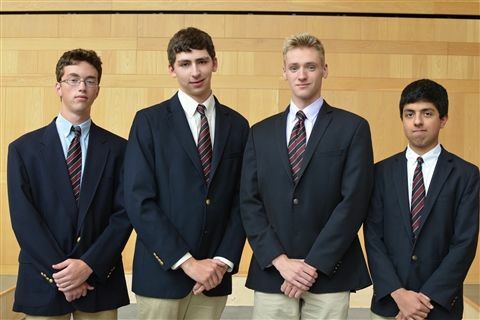 Semifinalist students are among those who earned the highest scores on the 2017 Preliminary SAT/National Merit Scholarship Qualifying Test (PSAT/NMSQT). The semifinalists are Ethan Banks, Maheep Brar, Dylan Laurianti, and Dylan Siegler. The nationwide pool of Semifinalists represents less than one percent of U.S. high school seniors, and includes the highest-scoring entrants in each state. Commended students are among those who earned high scores on the 2017 PSAT/NMSQT. Of the approximately 1.6 million high school students who take the PSAT each year, 34,000 receive Letters of Commendation in recognition of their outstanding academic promise. 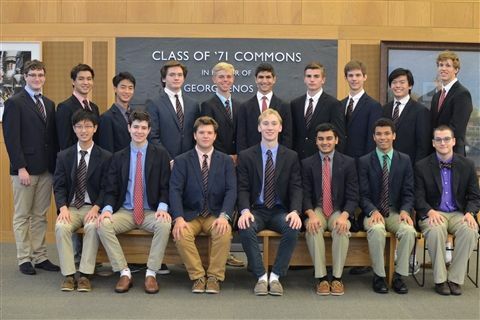 The commended students are Auryon Azar, Bennett Chao, Reed Chen, Calvin Chesler, Jeffrey Chi, Nathan Cohen, George Curley, Tyler Fertel, Robert Hegler, Clayton Lovell, James Nordell, Daniel Pichkar, Nicholas Protasiewicz, Rohit Rakhit, Graden Snyder, Graeme Thomas, and William Zhang. From approximately 16,000 Semifinalists, about 15,000 students are expected to advance to the Finalist level in February. The designation is the first step toward becoming a National Merit Scholarship winner. Merit Scholar designees are selected on the basis of their skills, accomplishments, and potential for success in rigorous college studies. Every Finalist will compete for one of the 2,500 National Merit Scholarships that will be awarded on a state-representational basis. They are announced beginning in April.